Mark founded Recruit First IT in 2010 and continues to drive it forward. 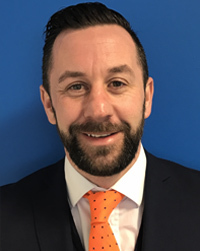 With over 16 years’ experience in the IT industry himself Mark has performed at the very highest level as a Recruitment Consultant, Manager and Director. Mark’s leadership is grounded in a deep and broad understanding of the environment our clients and our jobseekers operate in. For more information on Mark see his LinkedIn profile here.